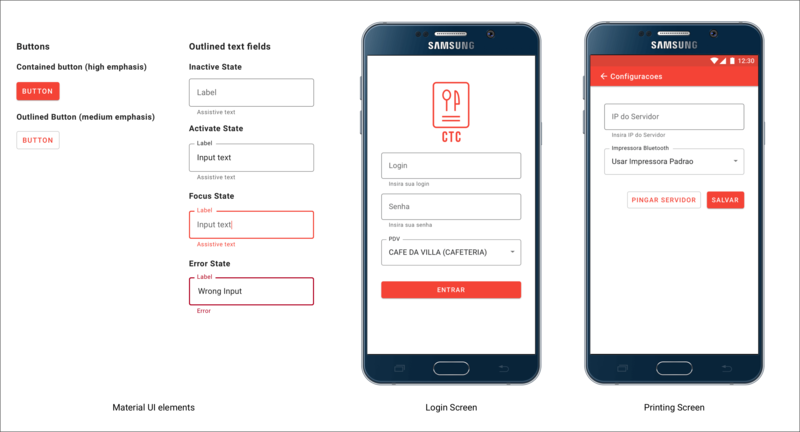 CTC is a mobile application for servers of restaurants and hotels. With CTC they register customers' orders and send them to the kitchen for preparation. They are also able to manage all the tables they are serving. 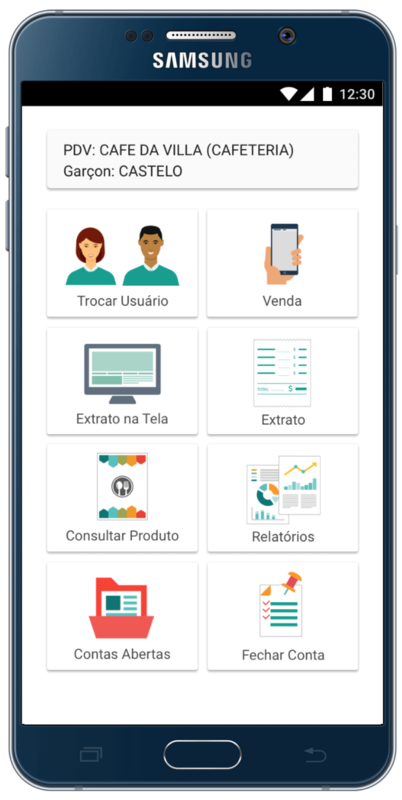 CTC is fully integrated with the accounting software made by the same company behind CTC. For this project my starting point was the existing version of CTC which needed a major revamp. I redesigned CTC using Material Design guidelines in order to achieve a cleaner interface better aligned with Android's UI conventions. I was able to improve the day to day of CTC's users by providing an enhanced user interface. In order to achieve a clean design, I decided to use Google's Material Design. The main elements used were buttons, text fields and cards. Below you can see some of my design iterations as I redesigned the main screens of CTC. The logo was redesigned. It went from being a cashier printing a receipt to being a restaurant menu. 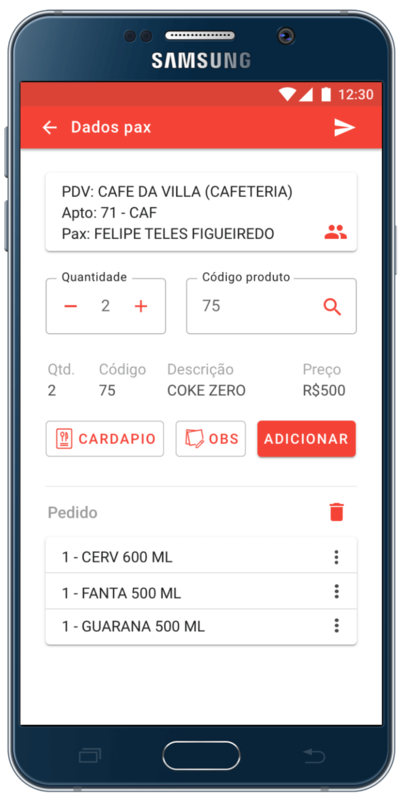 This menu represent food orders which is the primary unit on CTC, servers generate orders and after they generate the corresponding receipts. The style of the new logo is flatter to better match current design trends as well as the Android UI. 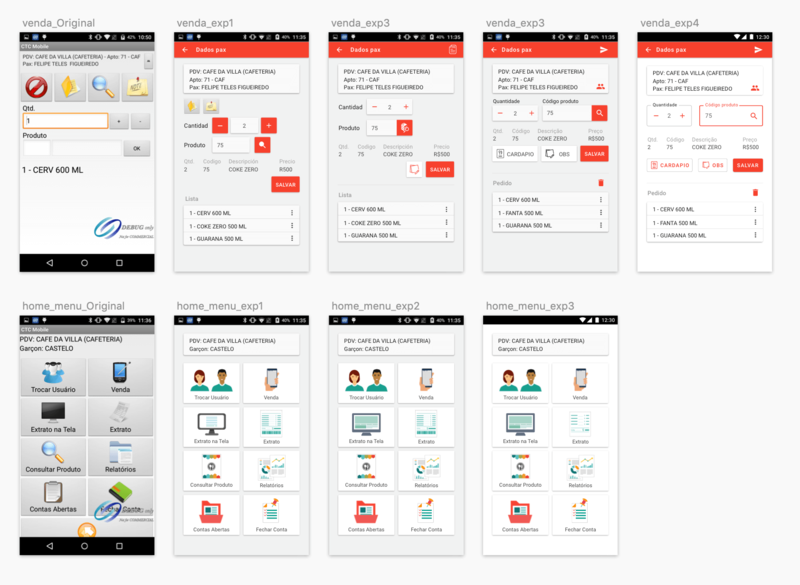 I delivered high-fidelity mockups, illustrations and icons for the Android application. Due to resources constraints, the scope of this project was limited to improving the user interface. If I were to continue working on CTC, my next step would be to improve the user experience of the application.